E.C. 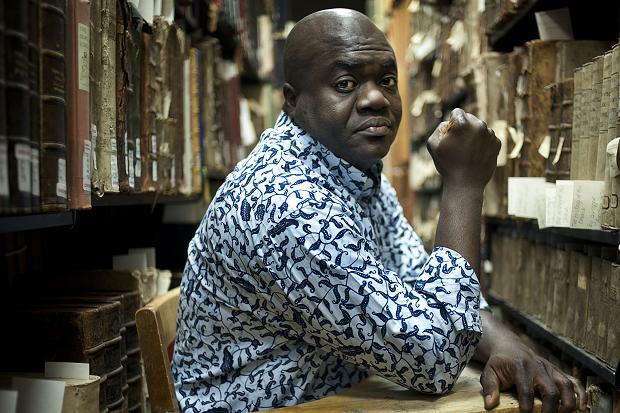 Osondu is a judge for this year’s Fall for the Book Award 2019. Fall for the Book and the Institute for Immigration Research is an award to recognize recently published works that illuminate the complexity of human experience as told by immigrants, whose work is historically underrepresented in writing and publishing. The prize will be juried by Reyna Grande, Alia Malek, and E.C. Osondu, who will choose three finalists and then award the prize to one. Finalists will be announced in summer 2019 and all three finalists and the judges will appear at the 2019 Fall for the Book festival, October 10-12 for the second annual presentation and to read from and discuss their work. The winning writer will receive $5,000 and the two finalists each will receive $1,000. E.C. Osondu is the author of the collection of stories Voice of America and the novel This House is Not For Sale. He is a winner of the Caine Prize and a Pushcart Prize among other prizes. His fiction has appeared in the Atlantic, AGNI, n+1, Guernica, Kenyon Review, McSweeney’s, Zyzzyva, Threepenny Review, New Statesman and many other places and has been translated into over half a dozen languages. A contributing editor at AGNI, he has been a Visiting Professor at UT Austin and is currently an Associate Professor of English at Providence College in Rhode Island. Eligible books must have been (or will be) published between October 1, 2018 and September 30, 2019. If you want to enter your prose, specifically literary fiction or creative non-fiction, please click here for more details. Previous Previous post: Koleka Putuma poetry collection “Collective Amnesia” now in Spanish. Next Next post: A snapshot of Poetry Africa 2018.